In preparing the advice on this website neither Fintech Financial Services, Grant Chapman nor Fintech SMSF Accounting, have considered your personal circumstances so you can’t assume it will be suitable for you. Please seek personal financial advice prior to acting on this information. Principal of Fintech Financial Services, Grant Chapman is a Representative of Fintech Financial Services Pty Ltd ABN 13 151 098 476, which is an Australian Financial Services Licensee (AFSL # 408634), with its registered office at Level 3, 4 Kyabra Street, Fortitude Valley Qld 4006. Neither Fintech Financial Services, Grant Chapman nor Fintech SMSF Accounting warrant or represent that the information in this site is free from errors or omissions or is suitable for your intended use. Fintech Financial Services, Grant Chapman and Fintech SMSF Accounting do not give any warranty or make any representation as to the accuracy, reliability, completeness or security of the information contained in this site and as to changes in circumstances after the date of publication that may impact on the accuracy of the information; may change and update the information from time to time; make no representation in relation to, and are not responsible in any way, for any other site you access through this site; and own the copyright in the information in this site. Users of this site must not do anything to alter or modify the information in this site; use the material in this site for any purpose other than as a source of information for personal use unless authorised to the contrary; distribute, copy or otherwise reproduce in any way any of the material available from this site unless it is expressly authorised; post any material which is defamatory, in breach of copyright, in breach of the Competition and Consumer Act or otherwise in any way unlawful or inappropriate. Fintech Financial Services, Grant Chapman and Fintech SMSF Accounting are not liable in any way to any person for any loss, damage, cost or expense incurred as a result of the material contained in this site or from unauthorised access to, or any misuse of this site including, without limitation, any negligence by Fintech Financial Services, Grant Chapman and Fintech SMSF Accounting. Users of this site agree to indemnify Fintech Financial Services, Grant Chapman and Fintech SMSF Accounting from all liability, cost and expense, (including legal fees) arising directly or indirectly from the use or distribution by any person of material placed in the site by the user or from the alteration, modification of or addition to material on the site by the user. No information, feedback, questions or comments placed on this site by any person other than Fintech Financial Services, Grant Chapman and Fintech SMSF Accounting will be authorised or endorsed. Fintech Financial Services, Grant Chapman and Fintech SMSF Accounting can reproduce, use, disclose and distribute the information to others in their absolute discretion. Links to other sites are provided for your convenience only. Any such links do not constitute or imply endorsement or recommendations of any other company, product or service or any affiliation between Fintech Financial Services, Grant Chapman and Fintech SMSF Accounting and other organisations (unless otherwise expressly stated). Fintech Financial Services, Grant Chapman and Fintech SMSF Accounting do not control and are not responsible for the content of any other site accessed via this site. 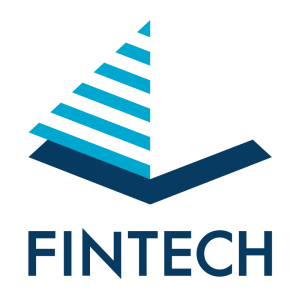 FINTECH ® and the pyramid logo used by Fintech Financial Services Pty Ltd are holders of Trade Mark No. 1759063 issued on 16 March 2016. You consent to Fintech Financial Services, Grant Chapman and Fintech SMSF Accounting monitoring your use of this site.